3 Lily Shade Memory Lamp with hand rubbed antique brass finish. 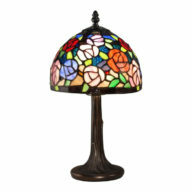 This 3 Lily Shade accent lamp conveys classic elegance. 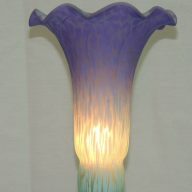 This gift of light has 3 beautiful hand blown and hand painted satin glass shades in your choice of colors and finish. 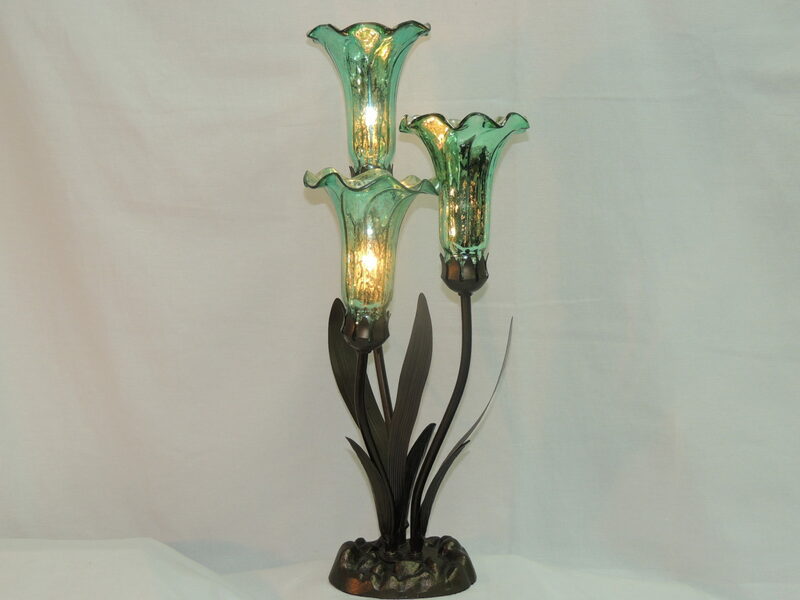 The base is richly designed and has a hand rubbed antique light and dark brass finish with decorative lily leafs sprouting upward. A welcome gift for just about any occasion, including remembering a loved one who has moved on. 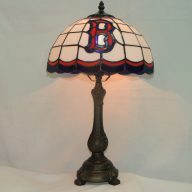 Consider giving this special accent lamp in lieu of flowers…you will not be disappointed and it will compliment any home decor.